Disney's A Christmas Carol is a multi-sensory thrill ride capturing the fantastical essence of the classic Dickens tale in a groundbreaking 3D animated film. 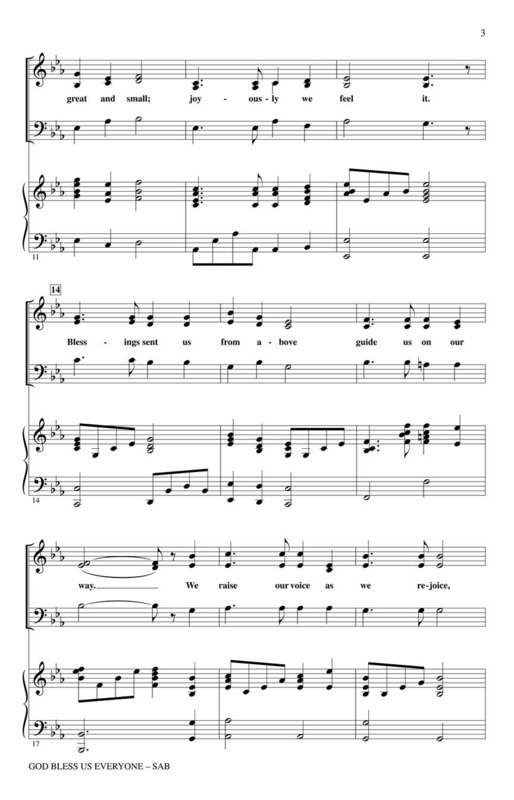 This inspirational song was performed by Andrea Bocelli over the end credits; and this adapted edition for choir; band and strings is an ideal concert finale for school; community and church. 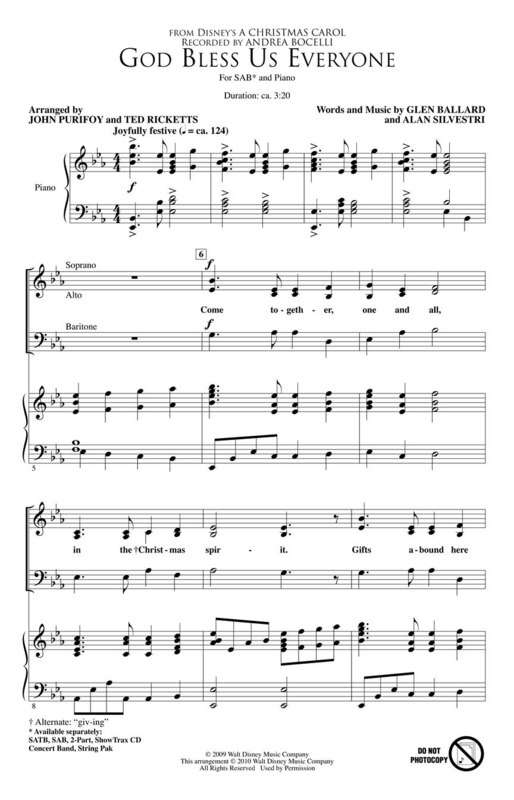 Available separately: SATB. SAB. 2-Part; ShowTrax CD; Concert Band; String Pak. Duration: ca. 3:20.